More shots of the installation of Duel Nature in Reno, another fruitful collaboration with the vibrant and active Reno community. Duel Nature by Kate Raudenbush will grace the waterfront of the Truckee River in downtown Reno, NV from May 21, 2010 until December 1, 2010. 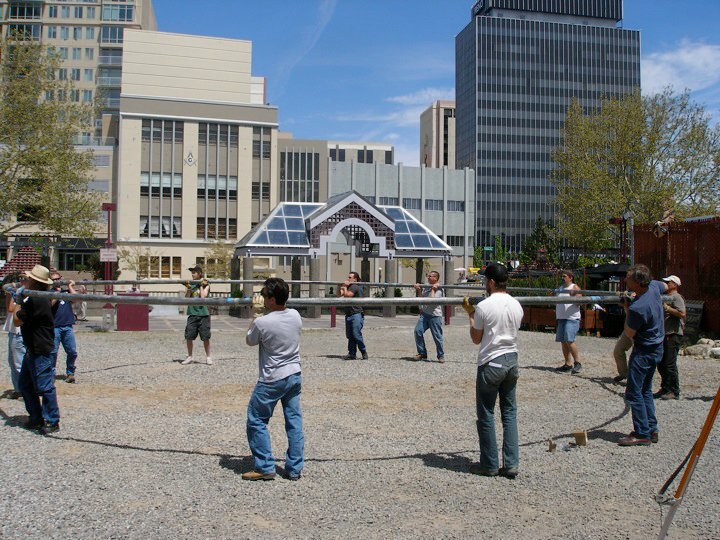 Check out this amazing volunteer effort today to get Duel Nature set init’s temporary resting place downtown Reno. A huge THANK YOU to everyone who came out to help Kate Raudenbush and the team get it started!